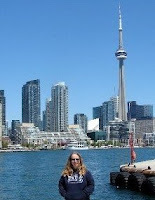 From Goodreads ~ Man's best friend! What better way to showcase adoptable dogs than by letting their true personalities shine in a photo booth! Often seen as sad, rejected and behind cold metal bars, it's no wonder people would avoid images of shelter dogs awaiting forever homes. 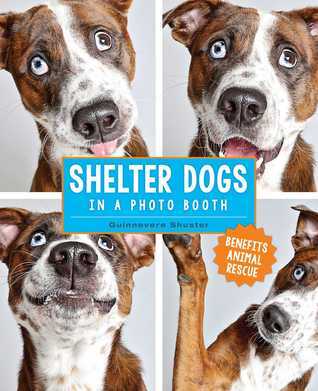 From photographer, Guinnevere Shuster, comes "Shelter Dogs in a Photo Booth", a guaranteed-to-make-you-smile photo book featuring shelter dogs in a brand-new light. Get ready to see the cutest canine portraits you’ve ever seen! The book features 100 dog photo booth-style photographs, each accompanied by a short story about the dog's personality, how the dog ended up in the shelter, and the adoption date. A follow-up concludes the book, with photos of some of them with their new families. I love reading books about animals and that's why this one caught my eye. This book is made up of photo-booth style pictures taken by Guinnevere Shuster of dogs that were in the Humane Society of Utah. 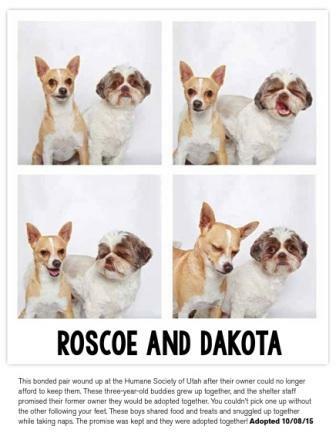 Shuster is a professional photographer and the social media coordinator at the Humane Society of Utah. Using her photography and media skills, she wanted to help otherwise often overlooked dogs find forever homes. 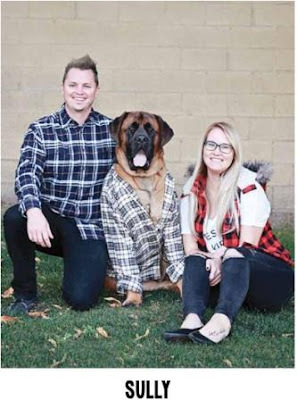 The dogs were apparently not selected at random and she tried to focus on dogs that may have needed a little extra help getting adopted or that didn't do well in a shelter setting. 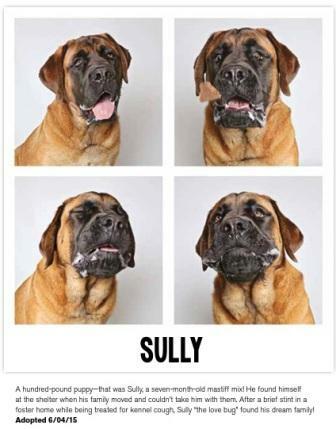 There are four pictures of 100 dogs, capturing each dog's personality. 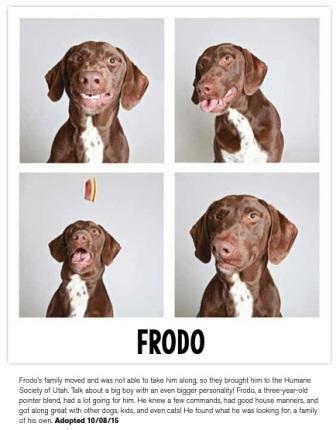 Under the pictures is a brief description of the dog such as why it was turned in to the shelter, its personality and its adoption date. 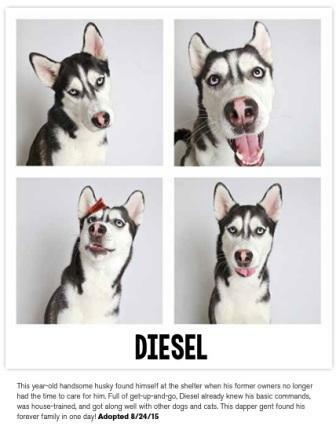 There are also pictures of some of the dogs in their "forever" homes.